Spring courses start with one-day cardmaking workshop. 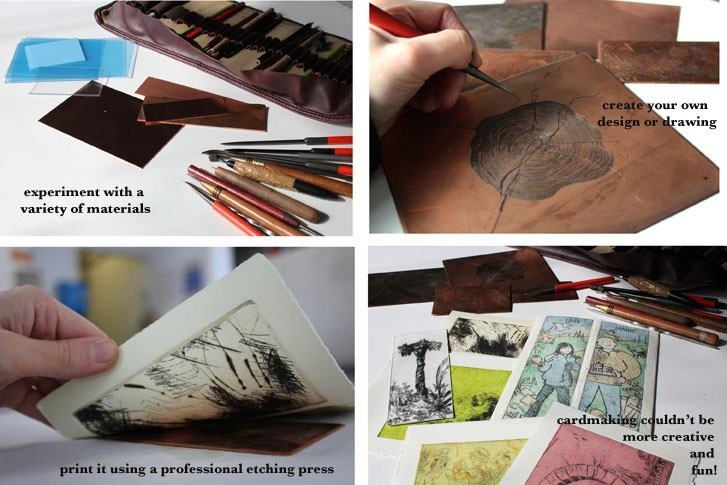 As you can see in the pictures above, this is much more than just cardmaking: we will be using etching and drypoint to create our own designs and drawings, printing them on different types of papers and textures. This is a great taster for printmaking or to get you back into it! It suits all levels of experience. Our studio is located on 18 Exchange Upper Street, Temple Bar, D2.